We’re proud of our heritage & the continuity of service provided to our clients over many years. Our team is a mix of long term experience & new young talent! 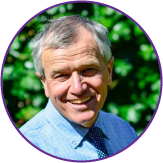 Jon is the managing director and splits his time between the Salisbury and Dibden offices overseeing a portfolio of clients from all business sectors. Jon spends most of his time helping clients with business development and advanced tax planning. He is also the firm’s audit senior. Jon also ensures we keep up to date with technological advancements that will improve our service and our clients’ experience. Outside of work Jon is a keen cyclist, cycling to work most days and mountain biking at the weekends. Jon also plays guitar at a local Blues Jam! JAfter achieving a BA (Hons) degree in Accountancy at Southampton Solent University Rob trained and qualified with the firm and became a director in 2013. Rob splits his time between the Salisbury and Dibden offices and oversees a portfolio of clients from all business sectors. 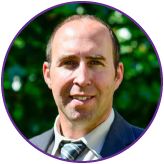 Rob helps clients with advanced tax planning and business development, getting involved with the firm’s strategy and development too. Outside of work Rob is a keen golfer with a handicap of 21 and loves watching Premier League football! Brian joined the practice in 1972. Qualifying as an Accounting Technician Brian has since developed his interest in personal and business taxation. Now specialising in this area Brian has a comprehensive knowledge of the UK tax system and deals with the more complex taxation matters including advising on residency and overseas tax issues. Brian’s understanding of all aspects of company and personal tax planning provides a valuable resource to the practice and a valuable service to our clients. Outside of work Brian does a ridiculous amount of running and cycling and is superfit! David has over 30 years experience as a financial accountant and provides a valuable service preparing accounts and carrying out tax work. David balances this role with helping to raise his young family and works flexible hours to ensure that the clients for whom he is responsible receive a service that is both prompt and to their best advantage. Outside of work, David has a keen interest in the countryside and spends any spare time with his wife and children! Julie qualified as a Member of the Association of Accounting Technicians in April 1991. 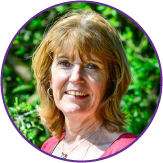 Julie runs a portfolio of clients from the Dibden office and is responsible for preparation of accounts and VAT Returns, and dealing with all the clients’ needs including business and personal taxation. Outside of work Julie is a keen golfer! 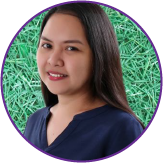 Jen is an experienced accountant and carries out bookkeeping, accounts preparation and routine tax work, mainly using Xero and other cloud based software. Outside of work Jen loves listening to acoustic music, especially Boyce Avenue! 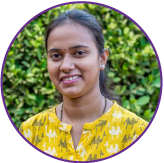 Prisha is an experienced accountant and carries out bookkeeping, accounts preparation and routine tax work, mainly using Xero and other cloud based software. Outside of work Prisha loves listening to music and reading books, mainly fiction! 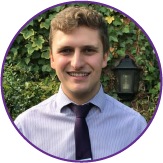 Chris recently joined the firm as a trainee accountant and is hoping to achieve his AAT accounting technician qualification by the end of 2018. 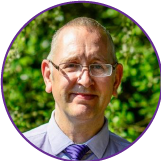 Chris carries out bookkeeping and accounts preparation and will also be helping us implement cloud based solutions for clients and with marketing. Outside of work Chris is an avid motor sport fan and also plays tennis in fair weather! 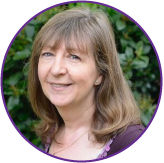 Chris runs the practice payroll bureau based at the Dibden office. This provides a complete outsourced payroll solution for clients in the Salisbury, Southampton and New Forest areas. 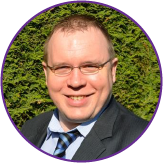 If you have any queries regarding payroll or your PAYE obligations, Chris is the expert. Chris also assists with practice administration. Outside of work Chris enjoys spending time outdoors. She also sings in the Southampton Rock Choir and was lucky enough to record with them at Abbey Road Studios! 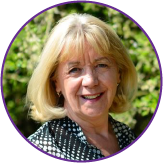 Lorraine is in charge of company secretarial and helps our clients to keep up with their statutory duties. She is also the friendly face that greets our clients, working on reception in Dibden throughout the week. Outside of work Lorraine is a keen photographer and has won several awards for her work, examples of which can be seen displayed in both offices!